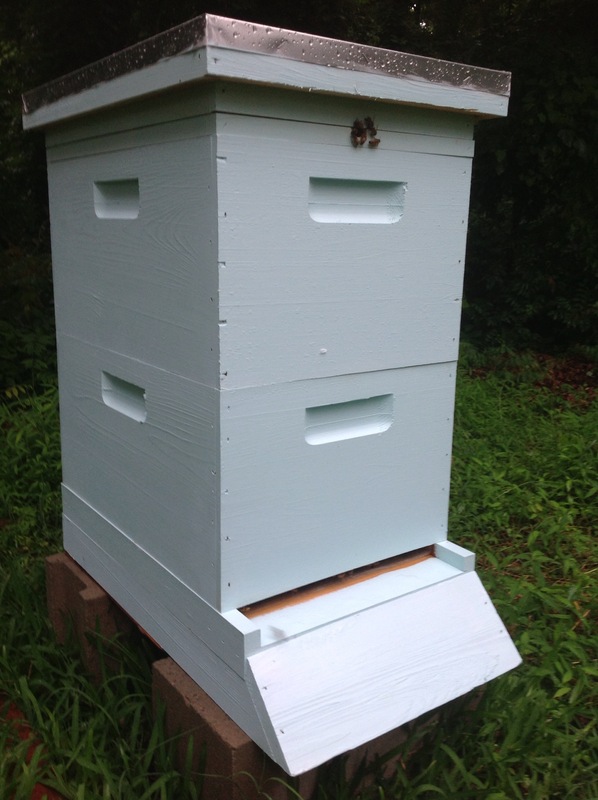 The bees have filled most of the frames in their first hive body, so they are ready to begin building comb in a second hive body, which I added today. Their home essentially doubled in size in less than ten minutes, but they seemed to handle it well. The hive may not look that impressive in the picture, but it is officially taller that the crimson clover now. When the clover was in full bloom, it easily matched the hive’s height though it is withering away now. The hive’s new challenge is to keep up with the asters, which will eventually grow taller than me.